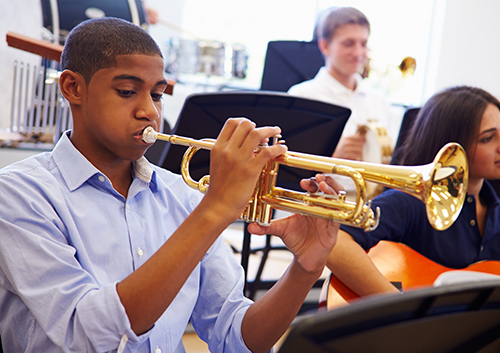 Let Dr. Mark Luposello and Dr. Robert Marzban know if you play, or plan to play, a wind instrument. We might be able to offer some suggestions. For regular metal and ceramic braces, some musicians find extra wax is helpful in preventing lip and cheek injuries. There are brace guards available that can be applied over the braces to protect your lips and mouth if wax doesn’t do the trick. Above all, take care of yourself! If something is poking your lip or cheek, call our McLean, VA office immediately before it causes injury. It might be difficult at first, but finding an embouchure that works for your comfort and technique is worth it. And remember, these temporary fine-tunings will lead to a wonderful coda: skilled musicianship and a beautiful, healthy smile. Bravo! In the long run, wearing braces is so worth it. Whether you’re working toward straight teeth, an improved bite, or both, you’ll end up with a beautiful smile! But sometimes, in the short run, they can be really annoying. Braces can irritate your lips, tongue, and cheeks while you are getting used to them or after an adjustment. Or a problem wire can poke the inside of your mouth and you can’t see us immediately for a repair. At times like these, Dr. Mark Luposello and Dr. Robert Marzban will recommend orthodontic wax to make your life more comfortable. You probably have lots of other questions. Can you sleep with wax on your braces? Will it help you be more comfortable at trumpet practice? That’s why we’re here! If you have any questions at all about orthodontic wax and how to use it, call our McLean, VA office. We want to make sure that the months you spend wearing braces are as comfortable as possible on your way to a lifetime of beautiful smiles. It’s so worth it! When we think of Valentine’s Day, we think of cards, flowers, and chocolates. We think of girlfriends celebrating being single together and couples celebrating their relationship. We think of all things pink and red taking over every pharmacy and grocery store imaginable. But what Dr. Mark Luposello and Dr. Robert Marzban and our team would like to think of is when and how this joyous, love-filled day began. We hope all our patients know how much we love them! Wishing you all a very happy Valentine’s Day from the team at Luposello & Marzban Orthodontics! You might be surprised to learn that Dr. Mark Luposello and Dr. Robert Marzban and our team recommend an orthodontic appointment even before your child has had that last visit from the Tooth Fairy. 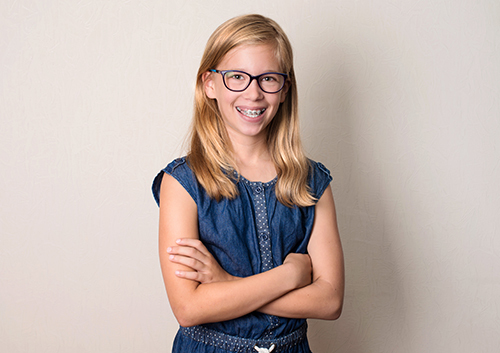 In fact, orthodontic assessments at our McLean, VA office can be beneficial at many stages of your child’s life. Let’s look at some of the reasons why. If you have any concerns about your child’s teeth or bite, even before the permanent teeth arrive, give our McLean, VA office a call. Early treatment can often prevent future problems and might even lead to faster orthodontic results. At each stage of your child’s growth, we are here to provide your best options for healthy, happy smiles.